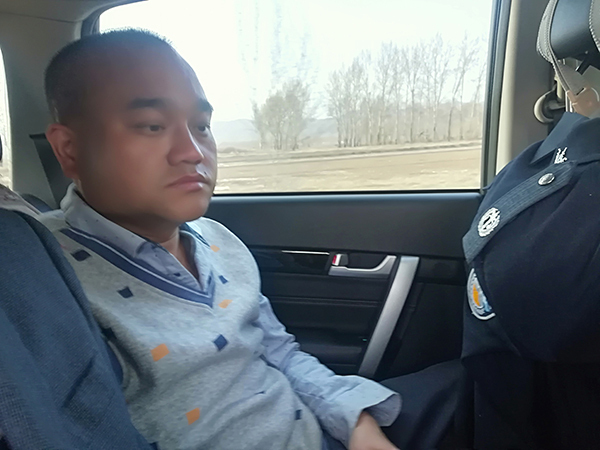 Tan Qindong, the doctor who had been detained for calling the "Hongmao" health care wine "poison" in an online article has been released on bail in Liangcheng, Inner Mongolia Autonomous Region, reports thepaper.cn. Inner Mongolian prosecutors turned down the case against Tan on grounds that it contained "unclear facts" and "insufficient evidence." The case is to be returned to public security organs in Liangcheng Country for supplementary investigations. Tan says he doesn't regret the decision to post that article because he was speaking from a doctor's conscience. Tan holds a master's degree in anesthesiology. In his online article in December, Tan claimed producers of "Hongmao" have been exaggerating its health benefits. Tan was arrested in January in the southern Chinese city of Guangdong by police from Liangcheng, who travelled all the way down there to arrest Tan, claiming his article caused Hongmao Pharmaceutical over a million yuan in losses. "Hongmao" was given the status of an over-the-counter (OTC) drug by China's Food and Drug Administration (CFDA)in 2003. However, a regulator spokesperson now says the CFDA is consulting with experts to help decide whether the liquor should be made to be purchased on prescription. CFDA is demanding Hongmao Pharmaceutical explain to the public how and why it has been punished by drug supervision authorities across the country for "false advertising" over the past five years. The company is also being told it will have to better outline any safety risks involved with consuming the product, as well as any reports of adverse reactions it has recorded. The CFDA notes it has recorded 137 cases of adverse reactions to "Hongmao," including dizziness, itching, rashes, vomiting and abdominal pain from 2004 to 2017.